There are a few different ways to view the system uptime. either the Task Manager or the Command Prompt. 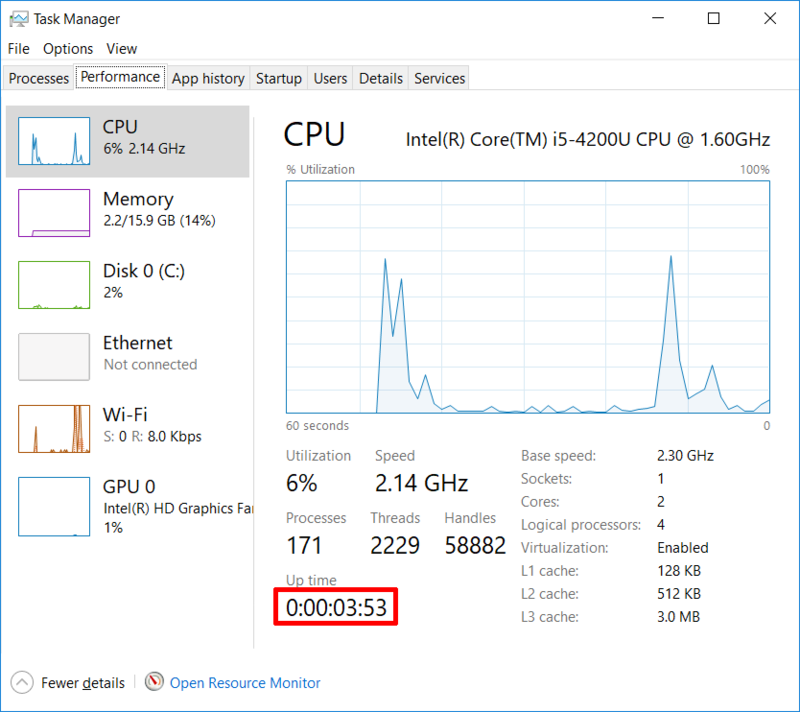 Launch the Task manager by using the Ctrl+Shift+ESC Shortcut keys, Right clicking on the Task Bar, or by searching and launching from the start menu. Launch the Command Prompt. Can do this by clicking start and searching for cmd. It’ll show you when the system last started up. C:\Users\Owner>systeminfo | find "System Boot Time"
This entry was posted in Windows, Windows 10, Windows 8 and tagged cmd, command prompt, microsoft, task manager, uptime, Windows by admin. Bookmark the permalink.